Hey, the next prerelease is coming up. It’s called Battle for Zendikar and we are doing something different. 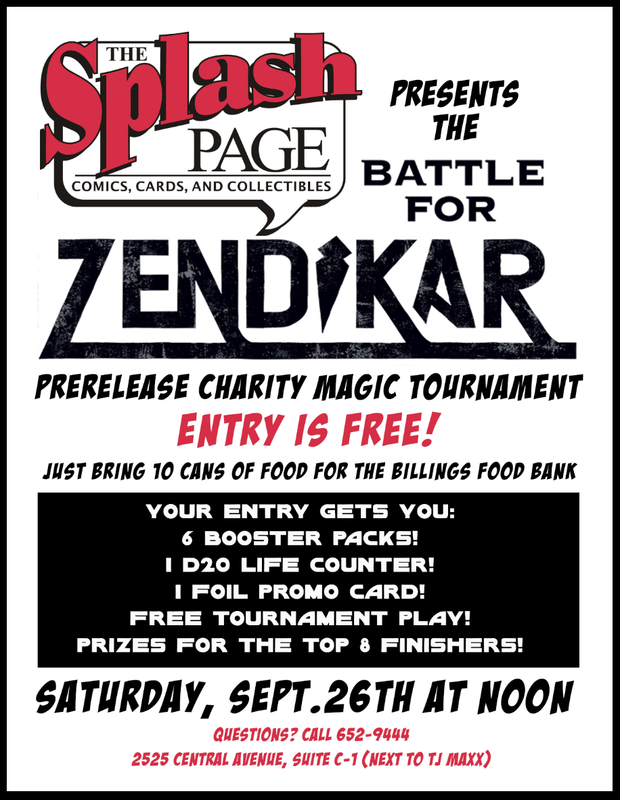 We will be having a canned food drive for the Saturday, Sept. 26 NOON tournament. If you bring 10 cans of food in, YOU GET IN FREE! For more information call the store at 652-9444.
this ONLY applies to the Saturday NOON event. The Splash Page is proudly powered by WordPress and BuddyPress. Just another WordPress Theme developed by Themekraft.